A new database launched by MuckRock, collaborating with Reveal and the Milwaukee Journal Sentinel, will make it easier to explore open government laws and request information from state and local governments. Want to find out how to see how much your state is spending on contracts with private companies? Figure out how much public money elected officials are spending on travel? A new database launched by MuckRock, collaborating with Reveal from The Center for Investigative Reporting and the Milwaukee Journal Sentinel, will make it easier to explore open government laws and request information from state and local governments. 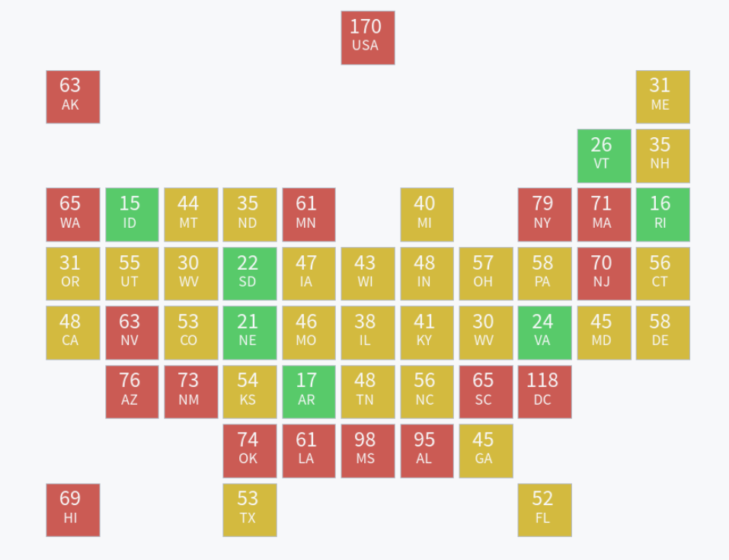 The interactive includes newly compiled data from MuckRock that shows states are adding exemptions to public records laws, failing in many instances to abide by deadlines to provide public information and allowing governments to avoid disclosing other critical information that the public has paid for with tax dollars. This builds on State Secrets, a series for Reveal that in 2016 and 2017 exposed a rising tide of secrecy among states, counties and cities and how a lack of access to critical public information can put the public at risk. The series also appeared in the Journal Sentinel and USA Today. It detailed how a sports development in a semi-rural community was almost approved in near-total secrecy, the difficulty of evaluating billions of dollars in government contracts because the government allows private companies to obscure key facts, how private companies are controlling the release of police body camera footage, and ways that state agencies maintain secrecy on dangerous roads, bridges and intersections. The final piece in the series revealed how the privatization of public information has led to delays and huge expenses borne by the public. The original database was developed in collaboration with the Journal Sentinel and students at Marquette University’s Diederich College of Communication. Eventually, the two versions will be merged to provide a seamless platform that will allow users to explore state laws and learn how to file information requests, track their requests and file appeals if those requests are rejected. To explore the new database, click on a state to view guides to its laws, including summaries of key provisions, practical tips and links to more resources. To suggest updates to a state’s entry, click “Suggest Change” on any jurisdiction page (this button will appear only if you’re logged in to MuckRock). If you have data you’d like to share, email info@muckrock.com.